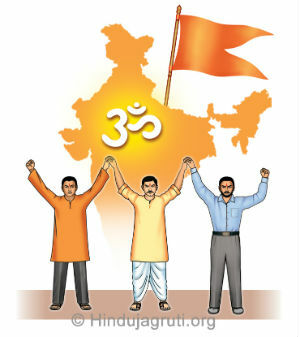 Historical Hindu Rashtra Summit will start in few hours in Goa on 10-06-2012. Dignitaries and delegates from eight States have already reached at venue. Ramnathi is set to welcome all the warriors of Hindu Rashtra in its Historical Hindu Summit – 2012. Ramnathi, Ponda, Goa, Bharat | 9th June 2012 :: Dignitaries and delegates from several in States in India have already reached Ramnathi Ashram Goa to participate in the ‘All India Hindu Convention’ which is taking place here between 10th and 14th June with the sacred and sacrificed goal of establishment of Hindu Nation. During the last two days, a few new pro-Hindu Organisations from Punjab and Assam have registered their names to participate in the Convention. Some pro-Hindus active in Nepal have also expressed willingness to attend the Convention. Dr. Manoj Solanki, office bearer of Samiti and organiser of the Convention gave this information. Dr. Manoj Solanki said that Jain Organisations active throughout the country and a Sikh Organisation from Punjab have also joined the Convention. Representatives of H.H. Asarambapuji, Sri Sri Ravi Shankarji and Jagadguru Narendracharyaji Maharaj will also attend the Convention. Shankaracharya Jagadguru Shri Swami Jayendra Saraswati of Kanchi-Kamkoti Peeth has conveyed His blessing to the Convention. In short, throwing away the differences of caste, sect, Organiation etc. 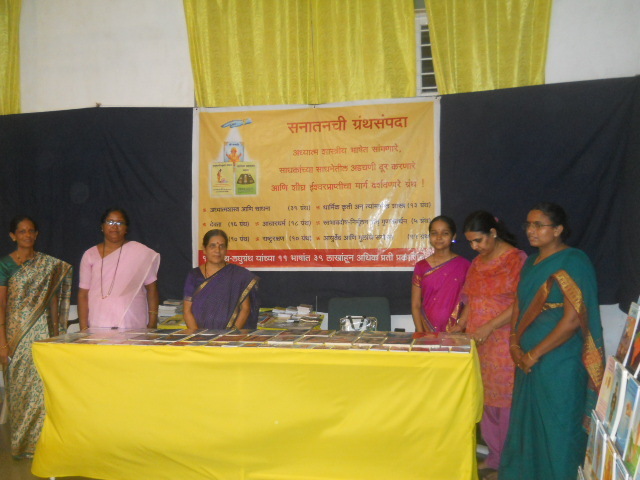 all the Hindus have participated in the Convention. This august Convention will prove to be a golden page in the history of establishment of Hindu Nation. The historical event for declaring a Hindu State in India, the trained team of Hindu Janajagruti Samity and Sanatan Sanstha have completed all its arrangement to welcome more than 500 hundred delegates for their entire satisfaction in their participation all along. The Reception, Press (Danik Sanatan Pravat etc) and media centre, the boarding and lodging, Prasadam (fooding), exhibition, logistics and all other departments of the Programme Committee are fully charged with a spiritual containment of service (seva) motivation. Upananda Brahmachari of Hindu Existence, Acharya Yogesh Shastri of Arya Samaj, Dr Nilmadhab Das of Tarun Hindu Dal, Jharkhnd have already reached Ramnathi to attend this grand programme and visited all the departments connected with this programme and Ramnathi Ashram as requested by the convenor. In an interview taken by Sri Chittarnjan Sural, an active organiser of this Hindu Summit, Upananda Brahmachari, the editor, Hindu Existence expressed that this Hindu Summit is a reflection of the demand of a Hindu State by the Hindus in India on the basis of Dharma, Shakti and mass movement. He said that Hindus are the largest 3rd religious groups in the world. If the first and second largest religious groups have about 100 religious states, Why Hindus numbering 100 crores are deprived from a single Hindu State. Referring Chatrapati Shivaji Maharaj, Tilak, Dr Hedgewar, Savarkar, Sri Upananda Brhamachari said the demand for a Hindu State is a just and fare demand of Hindus in all perspectives. I am happy and praying for the great success of the convention. We have so many shame less Hindu leaders who never think what is good for the masses. One billion Hindus have no nation and no one talks no one even thinks. ON billion whose noose into the hand of minority . Time has come when all Hindus leader or no leader should take this message they need nation of their own to secure life of their next generation . And Time is now or lose a lot for next generation. Our enemy is too smart we need to find a away to bring back all converts back to root culture. Hindus now discussing this issue will bring great results soon. 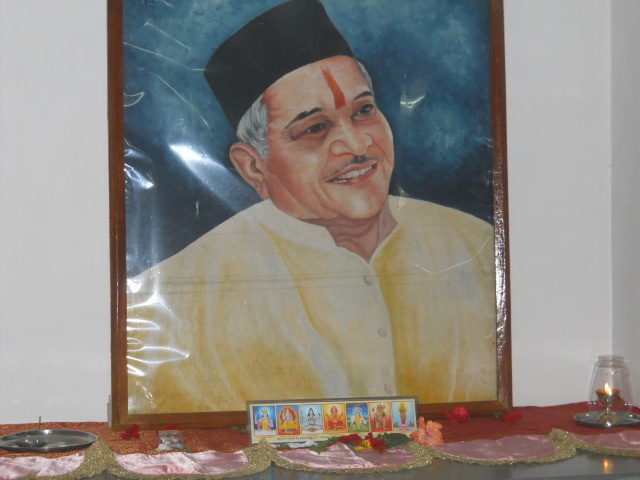 This entry was posted on June 10, 2012 by hinduexistence in Global Hindu News, Hindu Conference, Hindu Culture and Tradition, Hindu Demand, Hindu Education, Hindu Heritage, Hindu History, Hindu Leadership, Hindu Nation-State, Hindu Rashtra and tagged HINDU JANAJAGRUTI SAMITI, Hindu Rashtra Adhiveshan 2012, Historical Hindu Rashtra Summit 2012, Live Stream Telecast of HINDU RASHTRA SUMMIT, Ramnarhi Ashram - Hindu Rashtra Summit, Sanatan Sanstha.